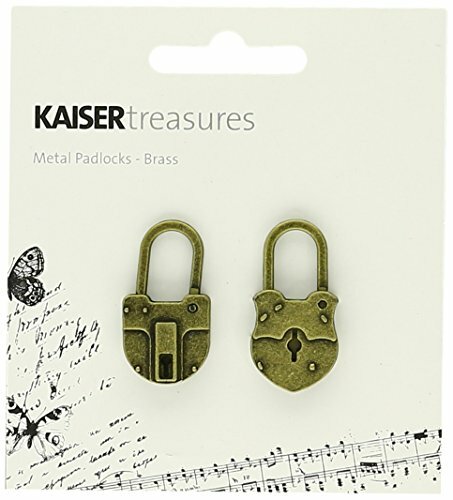 Kaisercraft Treasures Metal Padlocks are a great addition to any craft project and they work particularly well with Kaisercraft BTP storage solutions and home decor. This package contains two 1-1/4x3/4 inch metal padlocks in two different designs. A photo friendly imported product. It is available in antique brass color.